Last month, we reported about the Sony Xperia Ear Smart Earphones landing in Japan. Now according to the new reports, these smart earphone will be launched in the U.S on December 13th. Do make a note that these are not are your regular pair of earphones; they offer other functionalities as well like asking it to call someone, making a search query, read out the latest news and more. In the U.S, these earphones will be available on Amazon. Post the Amazon launch; these will also be available with Fry’s and B&H. These pair of earphones will be retailing for about $199.99. Earlier – Sony, the Japanese smartphone maker who isn’t having a great year when it comes to their smartphone sales and popularity. While their Xperia Z lineup was quite popular and now discontinued, the new Xperia X lineup isn’t going great. The company is now trying their hands on other smart products, which is why they have introduced Sony Xperia Ear. 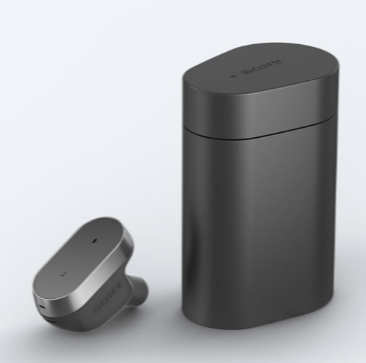 The Sony Xperia Ear are Smart Earphones that were revealed by the company at the Mobile World Congress. While the brand might have claimed in their press release that these are the first of kind smart earphones, there are in fact some other products such as Moto Hint (Hint+ Plus) and Samsung Gear IconX that can be said to fall in the same category. Talking about the key features of the Sony Ear, it can read you the messages from SMS app, LINE, Facebook Messenger as well as you can directly reply by voice. Do make a note that it will also read the received E-mails, although with limited capabilities. The smart earphones can make a phone call using voice commands such as “Call to Teja Office”. It would have information of your contacts as it would be paired with your device via a proprietary app. On top of calling and messaging using voice commands, the device has options of search and navigate. Search in terms of the results from Google Search or Wikipedia. While navigation regarding in conjunction with Google Maps. You can set the destination voice, once you have selected the route, the navigation instructions can listen in the Sony Xperia Ear Smart Earphones. There is a dedicated application Xperia Ear application that needs to be installed don the device you want to pair your earphones with. The application allows customisation in terms of the startup message, as well as long press functionality. You can either place call or activate Assistant using the long press. The Xperia Ear has been designed for various scenes of daily life. With a compact design and a graphite black colour combination. The com[any has tried to match the design in accordance with Xperia Smartphones. The brand has achieved the smooth texture that makes it feel comfortable in ears. There are an earpiece and arc supporter, which makes it easier to be fit inside the ear. Coming to the hardware specifications, it has a 65mAh capacity battery, while the charging case it comes with has a 300mAh battery capacity. The charging case is capable of giving charging up to 12 hours, while the company claims that 4 hours talk time. 80 hours of continuous standby time is claimed by the company. Do make a note that the earphones weight 6.6 g, while the case is 39 g. In terms of the connectivity, it has a Bluetooth 4.1 support and sensors like Proximity, acceleration, and gyro.